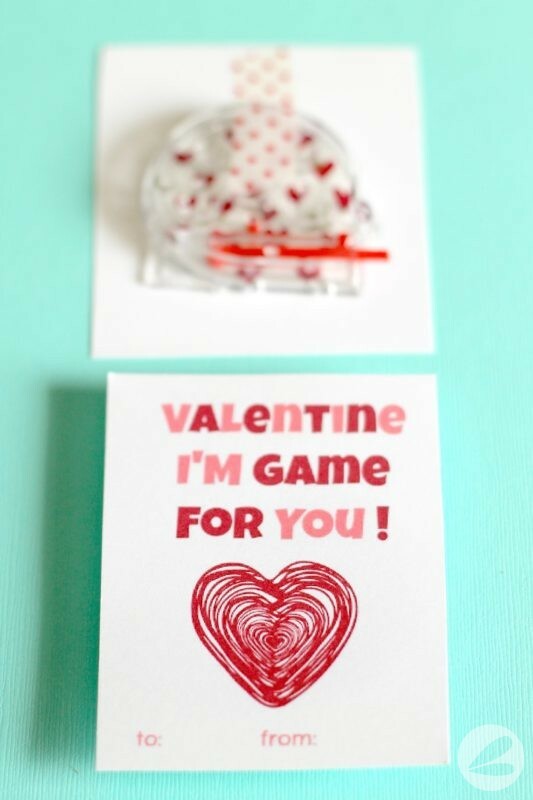 Valentines Day is such a great opportunity to get creative with the kids! I love all of the crazy ideas that my boys come up with for valentines each year. You name it, we’ve probably done it! Now that they are in grade five they are even more selective about what kind of valentines they want to gift to their classmates. 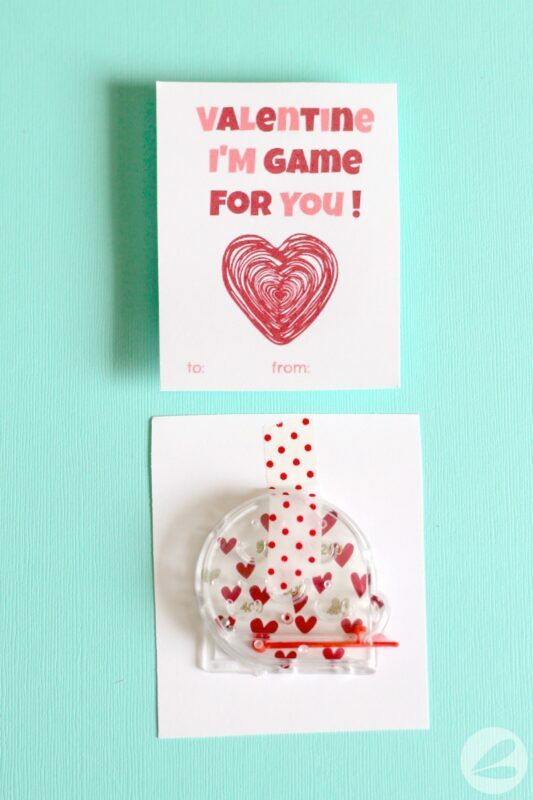 So when we came up with this fairly easy idea for Pinball Game Valentines I was somewhat relieved! I often take the boys to our local dollar store to check out the party favours. 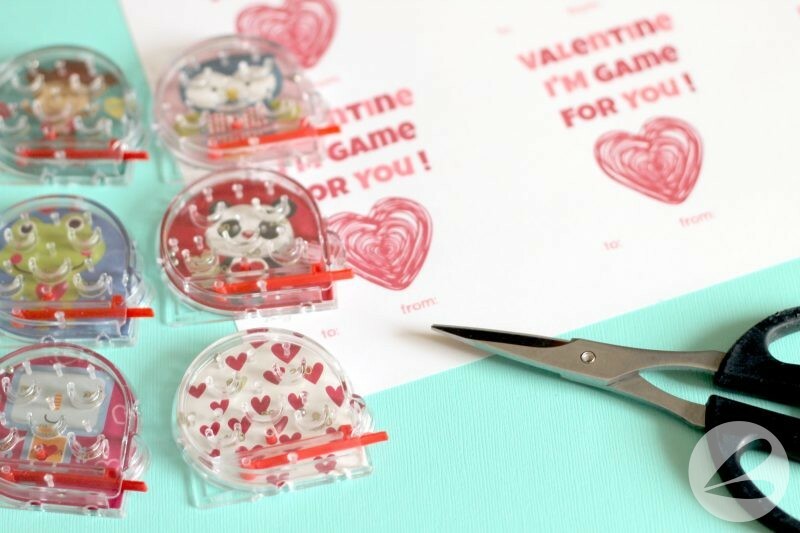 Birthday party favours, like these mini pinball games, are perfect to use for valentines! I love that they are a candy-free alternative to all of the sugary treats that can be associated with this holiday. We’ve used party favours to create these Silly Putty Valentines, Emoji Sticker Valentines, Moustache Valentines, Airplane Valentines and Slime Valentines. 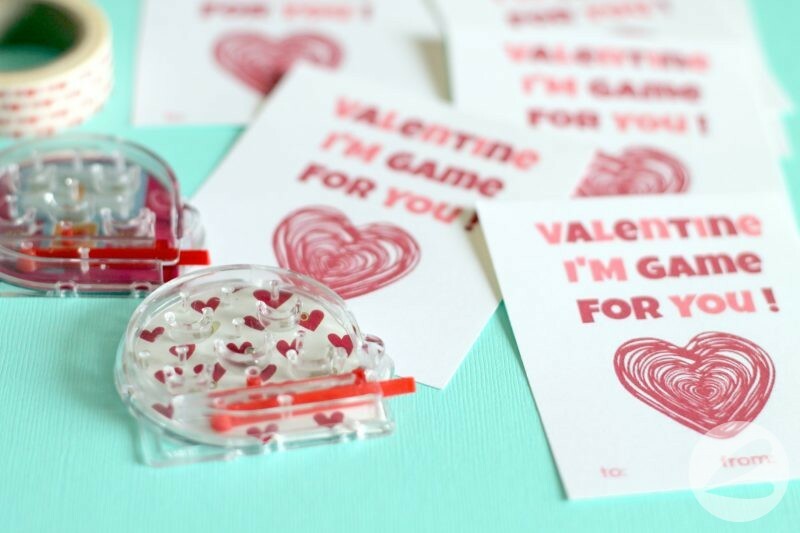 All you need for these pinball game valentines is my free printable, scissors, washi tape and these little party favour pinball games. I think that six pinball games cost $1? So these valentines might have been $5 total for the entire class. Total win in my books! 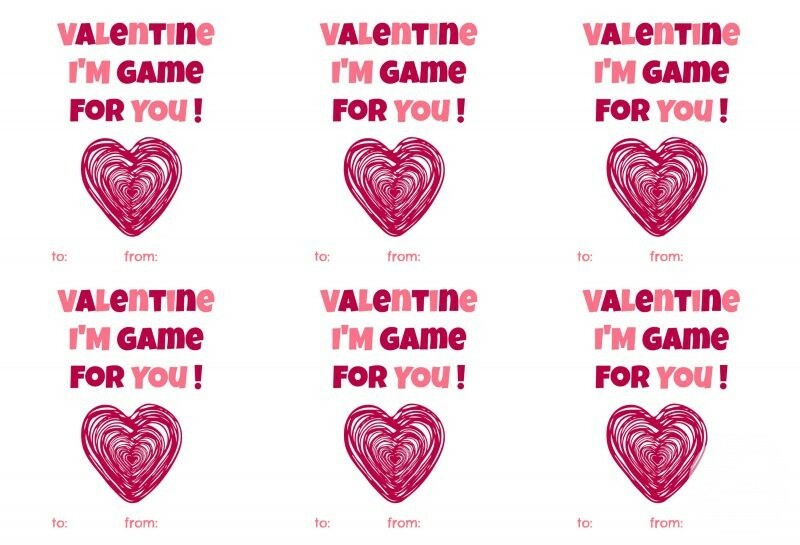 Pinball Game Valentine via Google Drive. Grab this free printable via Google Drive and simply print it out onto card stock. 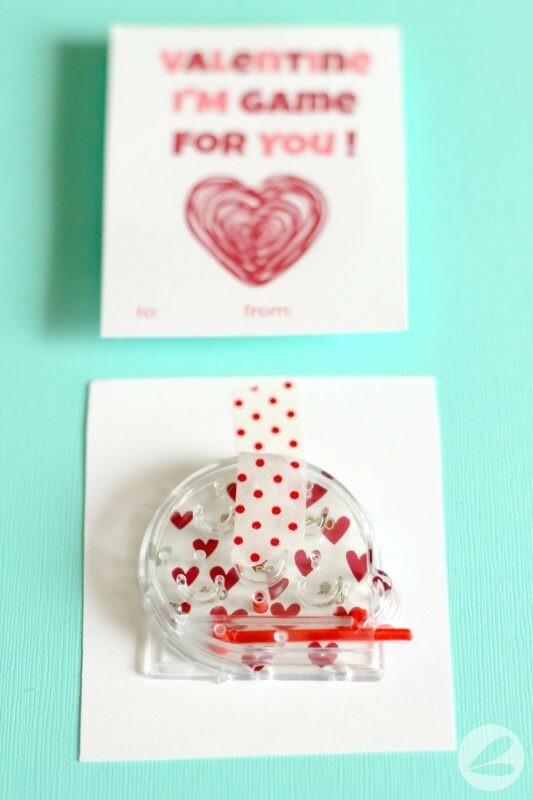 Cut them out with scissors or a paper cutter. Have the kids write in the “to” and “from” section. 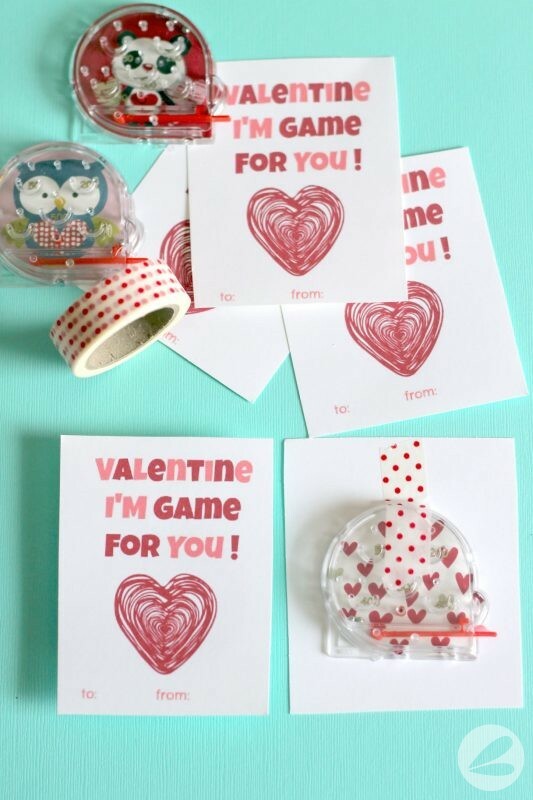 Then use the washi tape to affix the pinball game to the back of the valentine. And voila!